My first adventures with printmaking involved potatoes, a razor blade, and acrylic paint. But even working that low-tech, I knew I'd discovered the best thing in the whole world, relief prints. 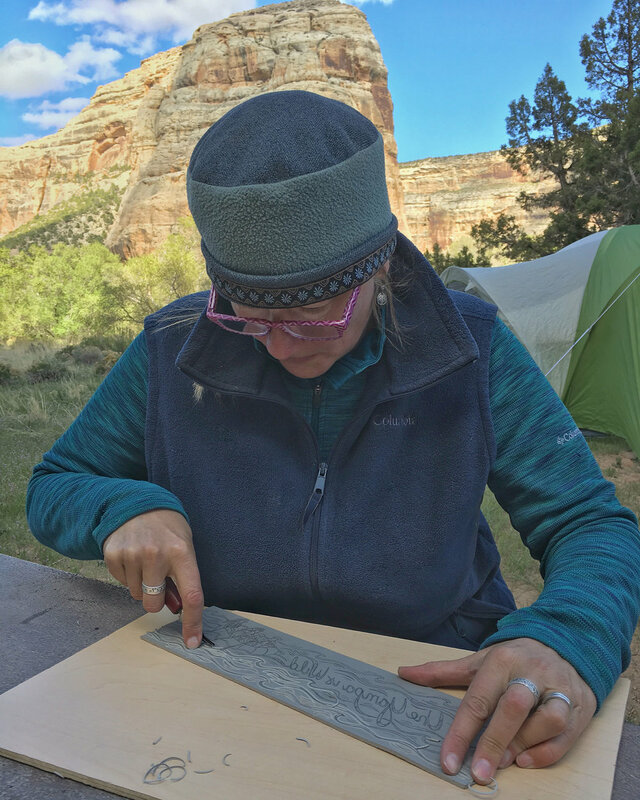 Now I mostly carve linocuts that I print by hand, and often paint with watercolor. I've had the opportunity to create work for Friends of the Yampa, The Yampa Valley Sustainability Council, The Bud Werner Library, Steamboat Sotheby's and the Steamboat Springs Winter Sports Club as well as private clients. My prints and greeting cards have been featured in many galleries and gift shops. I’m currently creating a mural for Friends of the Yampa, a non-profit whose mission is to protect and enhance the environmental and recreational integrity of the Yampa River and its tributaries through stewardship, advocacy, education and partnerships. You can see several posts about the mural progress on my Commissions page. I’m painting on polytab, a strong paper that will be attached to the building once the mural is complete. This allows me to work inside instead of directly on the building, and close to 100 community members have helped paint and otherwise assist with the mural. I’m thrilled to be part of such a big group project and create something for Steamboat Springs that features the Yampa River and Northwest Colorado! You can reach me by emailing jill@jillbergman.com, filling out the contact form, or clicking on any of the icons on the bottom of the page.